What is the training plan source? The Training Plan Source is a one stop shop for the Do It Yourself endurance athlete. Our training plans are made by Expert Coaches at IREP Athletics. Our coaches have athletic and competitive experience as well as Masters and Bachelor’s degrees in exercise science, sports medicine, and engineering giving us a unique advantage in writing world class training plans by providing educational platforms for YOU to Respond, Evolve, Perform at the highest level. IREP Athletics and The Training Plan Source(TPS) started as a way for two former exercise science and sports medicine professionals to return to their passion of training athletes while being professional educators full time. IREP has since grown in breadth and scope onboarding new coaches with not only coaching certification and experience but expertise in engineering and nutrition. Our Coaches believe in blending researched based principles and techniques, state of the art software analysis, and good old fashioned coaching methods to pull the best performance out of each and every athlete. At TPS you aren't just getting a cookie cutter training plan. We incorporate in all our training plans detailed exercise prescription that includes video of items such as drills, strength training, and injury prevention techniques, articles and podcasts to fully help our athletes gain understanding of the rationale giving our athletes an intimate knowledge of the what, why and how of their training. Success. 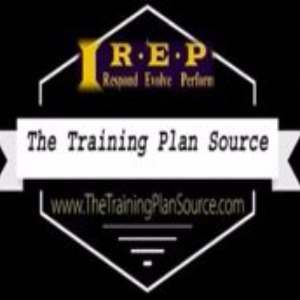 Coach The Training Plan Source Powered By IREP Athletics has been notified of your message. Ironman 2 Week Peak Saturday Race - I.R.E.P. Runner Test week (Heartrate, VO2max and Pace Zones) - I.R.E.P. Runner Testing week (Heartrate, VO2max and Pace Zones) - I.R.E.P. Triathlon Zone Testing Protocol - Swim, Bike and Run - I.R.E.P. Triathlon Zone Testing Protocol - all disciplines - I.R.E.P. Half Ironman Peak - 2 weeks out Saturday Race - I.R.E.P. Beginner Ironman 4 week Introductory Base with Zone Testing - I.R.E.P.